This week we've reviewed Google's new Galaxy Nexus - the first Android 4.0 handset as well as the new, souped up Apple MacBook Pro. We've also checked out a brand new 46-inch LCD from Philips as well as Sony's whacky personal 3D viewer. Read on for all the reviews posted on TechRadar this week. 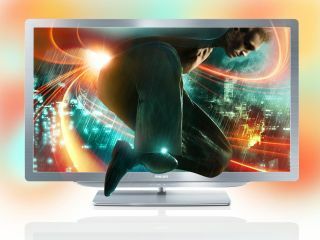 The Philips 46PFL469706H is a milestone in TV design. Picture quality on an LCD TV was simply not possible until now, and it's all made possible by the new 'moth eye' filter. It uses tiny nodules to mimic similar structures found on moth's eyes and is used to eliminate reflections on the screen, resulting in a greatly enhanced perceived contrast range. You have to see it to truly believe it, but it takes this TV from being a great contender to a market leader. There are a few niggles in the form of 3D crosstalk and some input lag when gaming, but otherwise it's a phenomenal achievement by Philips. The Samsung Galaxy Nexus is the world's first phone to run Android 4.0 (Ice Cream Sandwich) and comes with a plethora of top-end tech, including a huge but still massively high resolution screen. There are some gadgets in geek-world that are announced and we just cannot wait to touch. Nokia's N95, the original iPhone, the T-Mobile G1 and Palm's first Pre. And the Galaxy Nexus fits firmly in that category. The big selling point here is not so much the handset – it's what powers the Galaxy Nexus. Google has redrawn its Android OS in probably the biggest overhaul since it launched exactly three years ago. If you've got money to burn and you're a big fan of 3D and own a 3D Blu-ray player, the Sony HMZ-T1 could be right down your street. While we really can't imagine head mounted 3D displays taking off in quite the same way that Walkmans did a generation ago, we rather like Sony's HMZ-T1 personal 3D viewer. It's a bold and exciting spin on a familiar concept, and one that actually delivers on its promise of a virtual cinema experience. Its 3D performance is particularly mesmerising and if we could see our thumbs, we think they'd both be pointing upwards. The late 2011 update to the 13-inch Apple MacBook Pro is a mild refresh, but definitely a welcome one. It comes soon after a massive upgrade at the beginning of 2011, and the prices haven't changed, so we've no cause for complaint.